Not as much a question as a statement that some might question is PTC’s Subscription is the Mega Trend for 2016. Would you license CFD software on a subscription basis? Regardless of your answer, what expectations or assumptions do you make about subscription-based software licensing? Tridiagonal’s MixIT is a cloud-based CFD tool for stirred tank mixing simulations. The first two previews of STAR-CCM+ v11.02 are out: Co-extrusion and DEM cylindrical particles. DEVELOP3D takes a look at the latest version of cloud/browser based CAD system Onshape. And more good reading from DEVELOP3D on the new MSC Apex Eagle release. Tecplot Chorus 2016 was released for design-space simulation exploration. ESI released new capabilities in its Virtual Performance Solution. Sim Specialists have created a freely available tool called VolFlowCalc to ensure use of proper units for basic flow calculations. 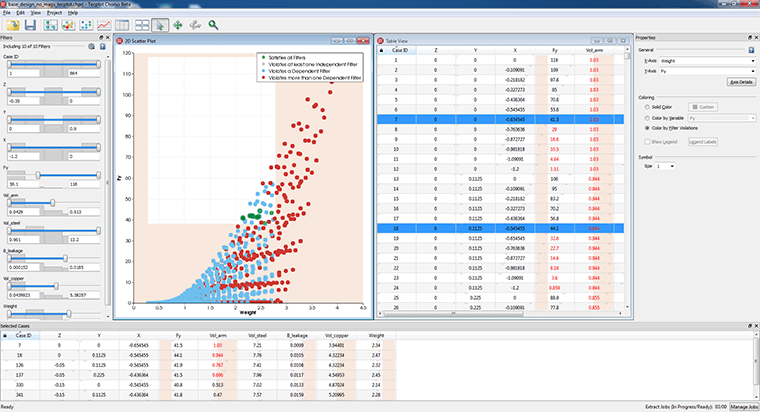 Screenshot of Tecplot Chorus 2016 in action. Image from Tecplot. See link above. CFD used again to design bicycle racing wheels. The work described in this article is an interesting convergence of topics: cloud-based CAD Onshape is being used to design an open-access Formula 1 car. Modeling a drone’s blades using CAESES. Image from Friendship Systems. Click image for article. Do you agree that outsourcing FEA preprocessing is a top trend in A&D PLM? Bonus: The article uses the term “imbibe” in the context of meshing and not in the usual sense of needing a strong drink when one finishes the mesh. Total cost of ownership, open source, and proprietary software. Parallel Generation of Large-Size Adapted Meshes from the team an INRIA. Five best practices for meshing turbomachinery. #5 Cell expansion ratio in the boundary layer should be maintained at 20-25%. VRMesh 9.0 was released with extension UI improvements. Science in the Age of Experience is the new incarnation of Dassault Systemes’ SIMULIA Community Conference. This year’s event is in Boston on 23-25 May. The CEI India Conference for users of EnSight and CONVERGE CFD will be held 23-25 February in Pune and Bangalore. The ERCOFTAC seminar on Oil and Gas Modeling and Simulation Best Practices and Technology Trends is coming to Oslo, Norway on 20-21 April 2016. 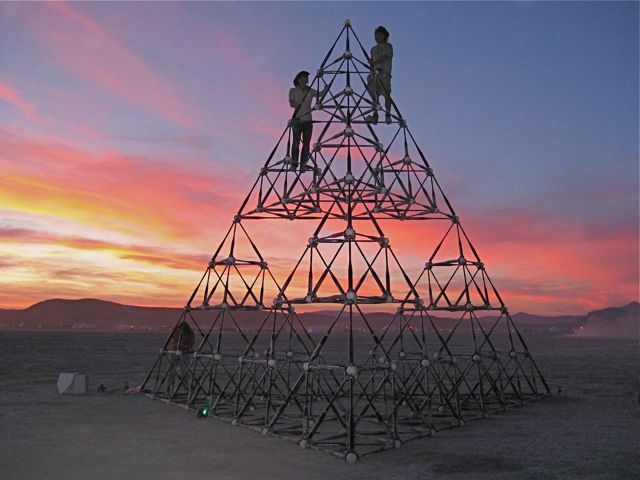 Gwen Fisher’s Bat Country is a giant tetrahedron, or more precisely a third-generation Sierpinski fractal. It’s built from baseball bats and softballs, but despite this sports influence from out of left field [pun intended], it remains the only mesh I’m aware of that you and your friends can climb up, on, and through. Gwen Fisher, Bat Country, 2013. Image from Gwen’s blog. See link above. This entry was posted in Applications, Events, News, Software and tagged Apex, CAESES, CEI, Chorus, CONVERGE CFD, Dassault Systemes, EnSight, ESI, MixIT, MSC, Onshape, Sim Specialists, SIMULIA, STAR-CCM+, Tecplot, VolFlowCalc, VRMesh. Bookmark the permalink. Only mesh you can climb on? OK, the only “unstructured mesh” you can climb.